Created for the April 2011 Rockin’ Around The Clock Challenge at DSDI and the April 2011 Technique Challenge at Funky Playground Designs. Boys Will Be Boys, originally uploaded by Lukasmummy. 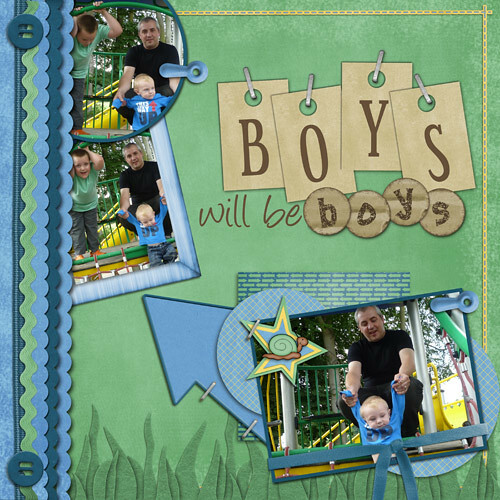 Credits: Layered template (MS Template Challenge 58) by This Dixie Pixie, I’m All Boy by Jen C Designs and About Boys Wordart by Connie Prince and Kim’s Scraps. Font is DJB Andrea D by Darcy Baldwin. Journalling reads: You three had a great time playing on the climbing frame and slide. Lukas liked hanging like a monkey from the bars best. Logan seemed to be a little bit scared to let go of Daddy’s hands and go down the slide, but he was more willing once he saw Lukas at the bottom to catch him. I love watching the three of you playing together, it’s too cute for words! 1st Ultrasound, originally uploaded by Lukasmummy. 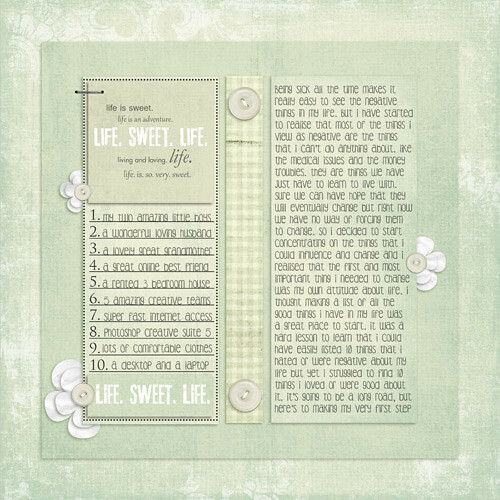 Credits: Layered template (April Template Challenge) by Mandy Nickell, New Beginnings by Jen C Designs and Starburst Overlays by Laura White (C.W Picket & Company). Fonts are Cambria and DJB Heidi H Script by Darcy Baldwin. 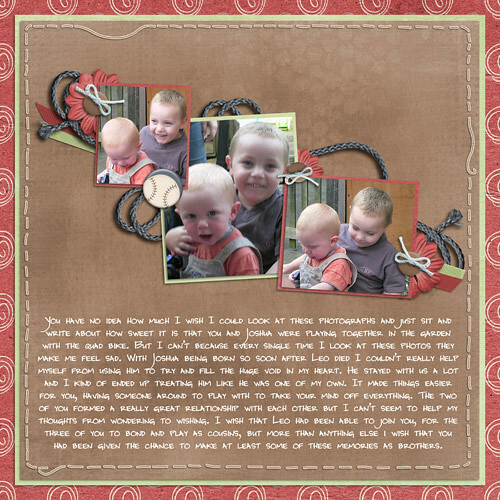 Enabling: You can download the template as part of the challenge, New Beginnings by Jen C Designs is available here and Starburst Overlays by C.W Picket & Company are available here. Cousins, originally uploaded by Lukasmummy. Credits: Layered template (April Template Challenge) by Shanmomto4 and Oh Boy! by Jen C Designs. Font is DJB Jenna by Darcy Baldwin. Journalling reads: You have no idea how much I wish I could look at these photographs and just sit and write about how sweet it is that you and Joshua were playing together in the garden with the quad bike. But I can’t because every single time I look at these photos they make me feel sad. With Joshua being born so soon after Leo died I couldn’t really help myself from using him to try and fill the huge void in my heart. He stayed with us a lot and I kind of ended up treating him like he was one of my own. It made things easier for you, having someone around to play with to take your mind off everything. The two of you formed a really great relationship with each other but I can’t seem to help my thoughts from wondering to wishing. I wish that Leo had been able to join you, for the three of you to bond and play as cousins, but more than anything else i wish that you had been given the chance to make at least some of these memories as brothers. Enabling: Template doesn’t appear to be available any longer but Oh Boy! by Jen C Designs is available here. LEAVE IT ON! !, originally uploaded by Lukasmummy. 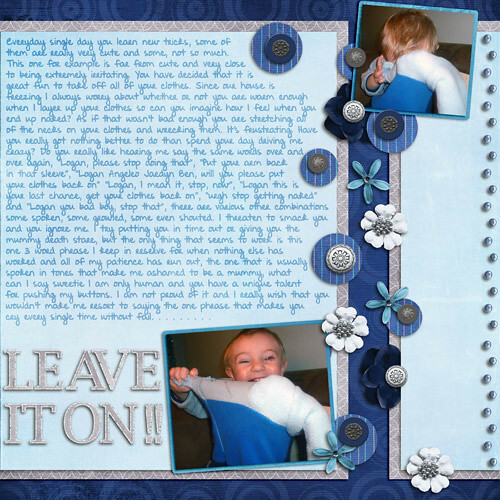 Credits: Layered template (XOXO Template Challenge) and Cold by Jen C Designs. Font is DJB Angie Bold by Darcy Baldwin. Journalling reads: Everyday single day you learn new tricks, some of them are really very cute and some, not so much. This one for example is far from cute and very close to being extremely irritating. You have decided that it is great fun to take off all of your clothes. Since our house is freezing I always worry about whether or not you are warm enough when I layer up your clothes so can you imagine how I feel when you end up naked? As if that wasn’t bad enough you are stretching all of the necks on your clothes and wrecking them. It’s frustrating. Have you really got nothing better to do than spend your day driving me crazy? Do you really like hearing me say the same words over and over again, “Logan, please stop doing that”, “Put your arm back in that sleeve”, “Logan Angeleo Jaedyn Ben, will you please put your clothes back on” “Logan, I mean it, stop, now”, “Logan this is your last chance, get your clothes back on”, “urgh stop getting naked” and “Logan you bad boy, stop that”, there are various other combinations some spoken, some growled, some even shouted. I threaten to smack you and you ignore me. I try putting you in time out or giving you the mummy death stare, but the only thing that seems to work is this one 3 word phrase I keep in reserve for when nothing else has worked and all of my patience has run out, the one that is usually spoken in tones that make me ashamed to be a mummy, what can I say sweetie I am only human and you have a unique talent for pushing my buttons. I am not proud of it and I really wish that you wouldn’t make me resort to saying the one phrase that makes you cry every single time without fail. . . . . . . . . LEAVE IT ON!! Happiness Is A Crazy Mummy, originally uploaded by Lukasmummy. 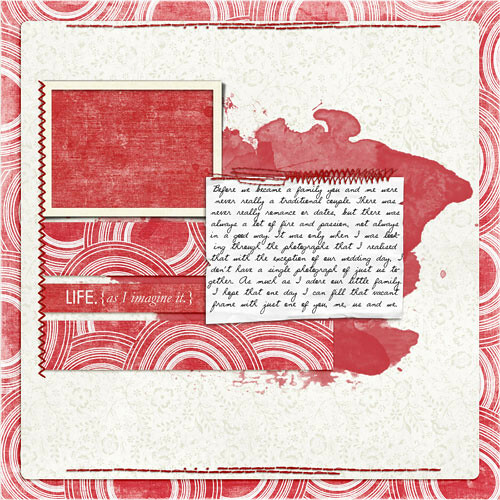 Credits: Layered template (Cluster Funk, Volume 2, Template 4) by Jen C Designs and Blame It On The Rain (slightly recoloured) by Jen C Designs and Aaron Morris (Sir Scrapalot Designs). Fonts are FO Textura Traced by Fontologie and DJB Christina by Darcy Baldwin. Journalling reads: I know that I have never been mother of the year material. Being sick has always made things difficult for me to be the kind of mummy that I think you deserve. But you have never seemed to mind, always been happy enough with the way things are. I think that may have something to do with the fact that although Mummy is not always able to do the things she wants to do with you, she is well put bluntly a little bit crazy. Your mummy does things that most people would never dream of. Take this photo for example, Nannie Freda’s back garden was flooded thanks to the heavy rain, and it was pouring down outside. But Mummy had the smart idea to let you go outside and play in it. I took the attitude that you had wellington boots, and a really great waterproof set. A little bit of rain wasn’t going to hurt you we could always dry you off. I may sound more slightly more unconventional than crazy, did I forget to say that I decided to come out with you? I put on a pair of shoes and joined you in the garden. We jumped in the massive puddle that the concrete had become, we splashed and we made lots of noise. I made Daddy take some photos and when we were done I was soaked up to the waistband of my trousers, but it was worth it because we had so much fun! Just The Three Of Us, originally uploaded by Lukasmummy. Credits: Layered template (I Love You Just A Little Bit,Template 4) and In Love With You both by Jen C Designs. Font is DJB Euroscript by Darcy Baldwin. Journalling reads: This is one of those wedding photos that I have always overlooked, to me it was just us coming out of the registry office, standing at the top of the steps, nothing really special. At least it wasn’t until I looked through the photographs a bit closer and realised this is the only one of the three of us together. The photographer never bothered to take group shots.